[toc]The skin on the body and our hair sheds dead cells and it is a very natural way. The skin tries to rejuvenate itself and thus sheds off the older skin to get something new. This cycle may be monthly or may happen in a couple of weeks.However, you do not really notice the skin on the hands and the legs falling off, but this is the case with the hair and dandruff is the result of the same. This is one of the most natural ways to combat dandruff. You have to take a few drops of lime and put in the water and use it as a final rinse. However, you can also take the wedge of a lemon and rub it on the scalp. Leave it on for some time and then wash it off. Lemon juice tends to dry the hair, so if you have oily hair then you should either mix it with honey or some similar conditioner to provide nutrition or the scalp will get drier. 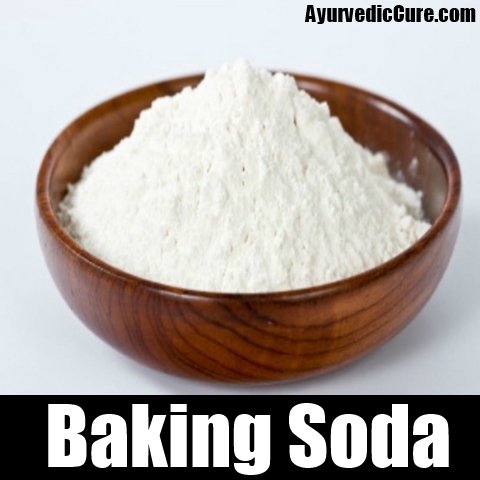 The flaky hair problem can be be put under control using baking soda. All that you have to do is wet your hair and then rub some baking soda on the wet hair and then rub it across vigorously. Let it stay on the scalp for some time and then rinse it off completely. This can be done every time you are shampooing your hair or even not shampooing. The hair may seem a bit dry but after some time the scalp starts to produce natural oils, which makes the hair soft and also adds shine. 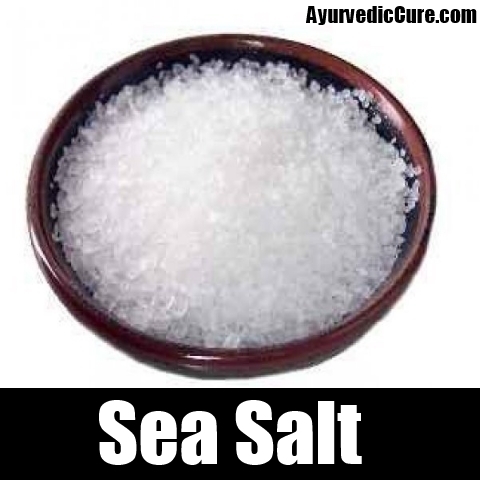 Sea salt is one of the best ways to get rid of dandruff and control it from returning. You can take sea salt and generously rub it on the dry scalp. Then massage the hair very well and let it stay for a while. Rubbing the scalp with the salt shakes the dandruff from the root and then you can just wash it off. It helps to get rid of the flaky and dry scalp. 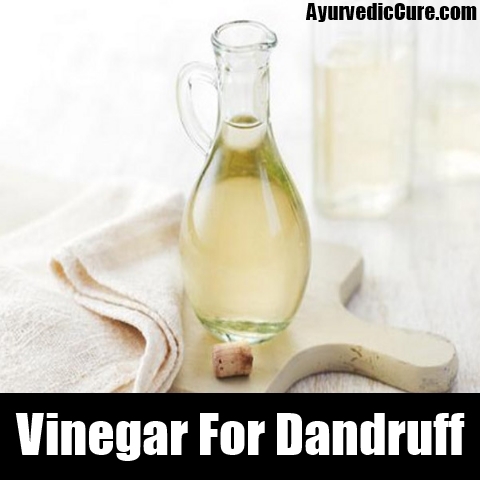 Either white vinegar or even apple cider vinegar can be used to get rid off dandruff. Take a couple of cups of apple cider vinegar and mix it int the bath water. Then rinse your hair with that water. If you are using regular white vinegar then simply take the solution in a cup and apply it on the scalp using a damp cotton. Let it stay for sometime and shampoo later. This should be rinsed well because vinegar tends to have a smell. Tea tree oil based shampoos are a great way to keep dandruff at bay too. 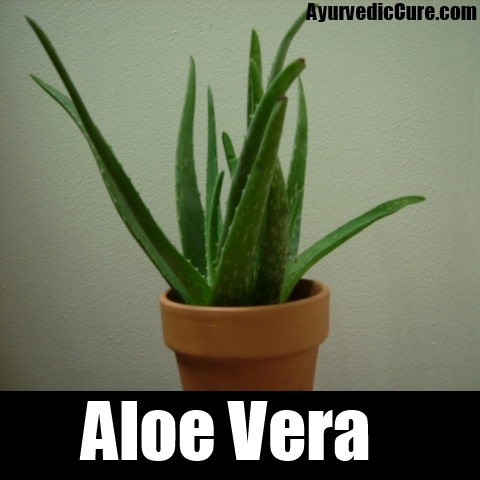 This is a natural antibacterial agent that is strong and also works as a natural antiseptic. 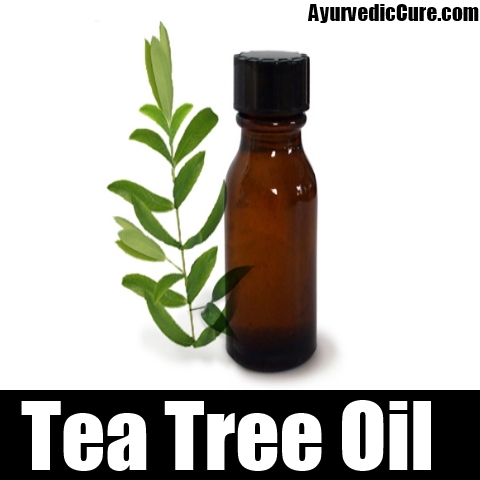 When you are washing your hair, mix a few drops of tea tree oil in it and then rinse it off. Do not apply the same directly. You can also add this to the shampoo, conditioner or even mix it with the hair serum that you apply. There is no need to wash it off but you can do the same, if the hair feels greasy. 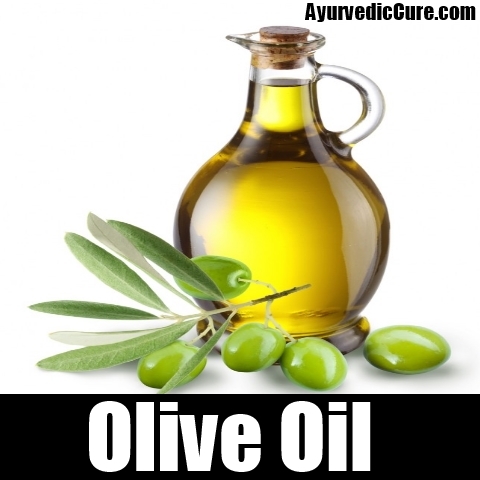 Since dandruff starts because of acute dryness, it is advised that you massage the scalp with some extra virgin olive oil or even regular olive oil. Let the oil stay in the scalp for at least a couple of hours. It is best to heat the oil prior to application for ensuring complete penetration. 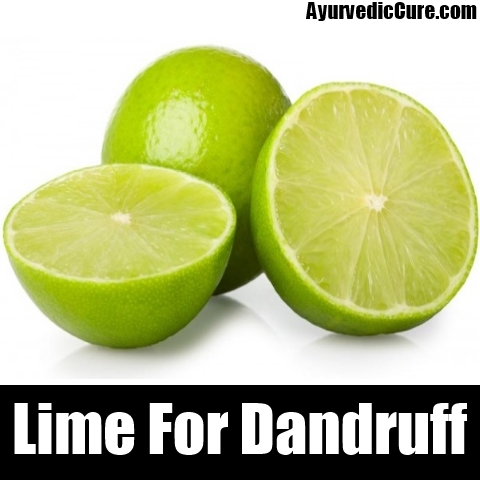 Also, you can add a few drops of lemon juice to the same for getting rid of the flaky scalp. Apply a hot towel post the massage for better shine and complete riddance of dandruff. 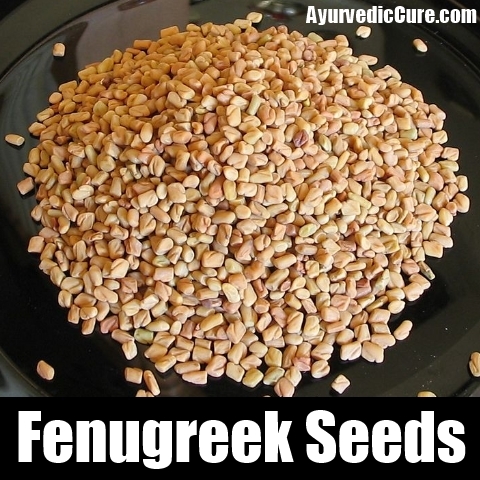 Fenugreek seeds or even fresh leaves of the herb works really well. This anti-fungal herb has soothing properties, which help to curb dandruff and also works as a hair tonic. You can soak the seeds of the fenugreek overnight and then grind it into a fine paste. You can also boil these seeds in coconut oil and then apply the same on the scalp to nourish it, while combating dandruff. If using fresh fenugreek, make a fine paste of the same with lime juice and hibiscus flowers and apply on the scalp. Let it stay for an hour and then wash off. Do the same at least twice a week for best results. This healing gel is best for treating dandruff without much of hassles. 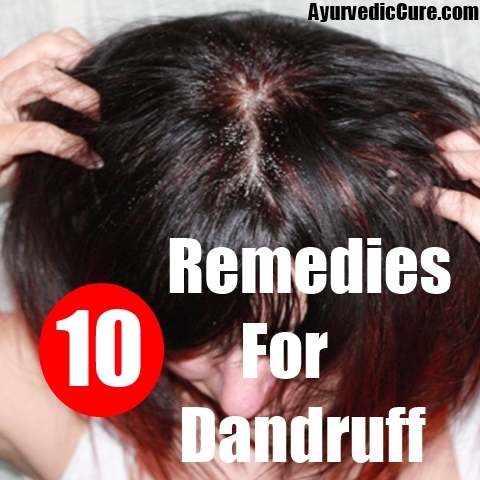 Since it is rich in anti fungal and antibacterial properties, it helps to get rid of dandruff along with other scalp issues like itching and rashes. Apply the gel an hour before you shampoo. The same can be added to your bottle of regular oil as it dissolves in the same and then can be applied like a regular oil. 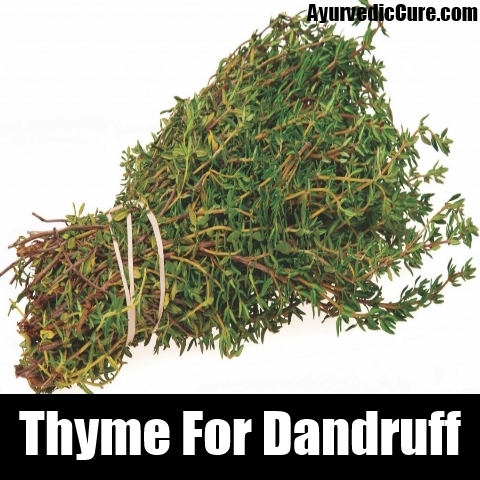 Thyme is rich in antiseptic and anti fungal elements that works very well for dandruff. Take about 4 spoons of dried thyme and mix it with some cold water. Boil it to create a solution and let it cool down. Strain and the apply on the hair like a tonic. You can also use fresh thyme but then you don’t have to boil the same. Oil using thyme can also be made by boiling the leaves in the same. Again, let it cool and strain and then wash off the hair. 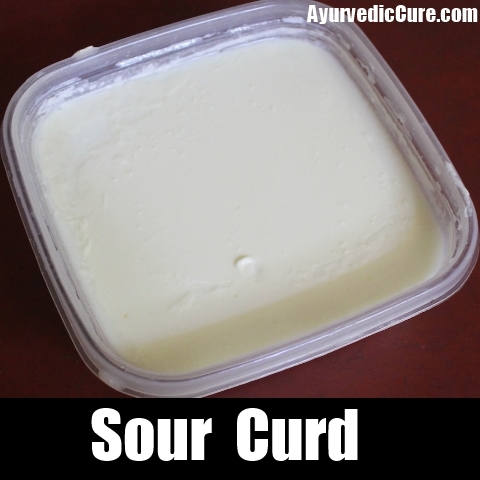 Sour curd is rich in pro-biotics and has acidic properties, which helps in preventing dandruff along with providing relief from dry scalp and itchiness. Take curd at room temperature and apply generously on the scalp and cover the entire hair. Wash it off after half an hour.